But what do you actually know about Tết? Here are 5 facts you need to know about it. 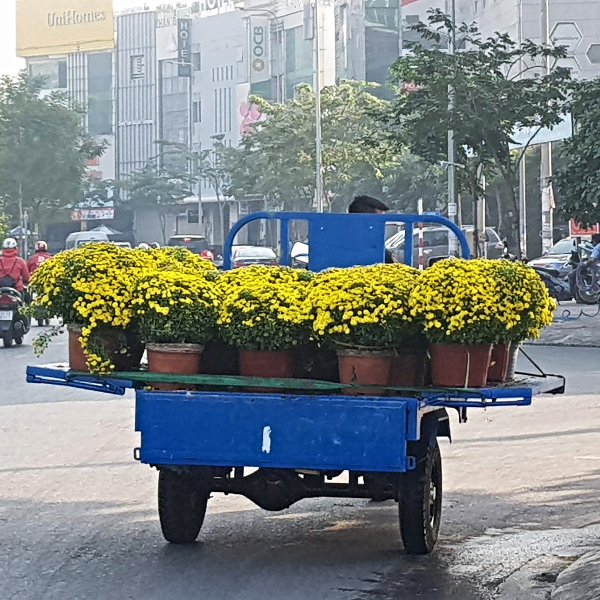 The full name for Tết is “Tết Nguyên Đán”. From Chinese origin, this name literally means “the first morning of the year”. It symbolized in the ancient times the start of a new rice cultivation cycle and was a major celebration time for all inhabitants. Tết Festival in Vietnam usually falls from mid January to mid February. Based on the lunar calendar, the dates vary from year to year. 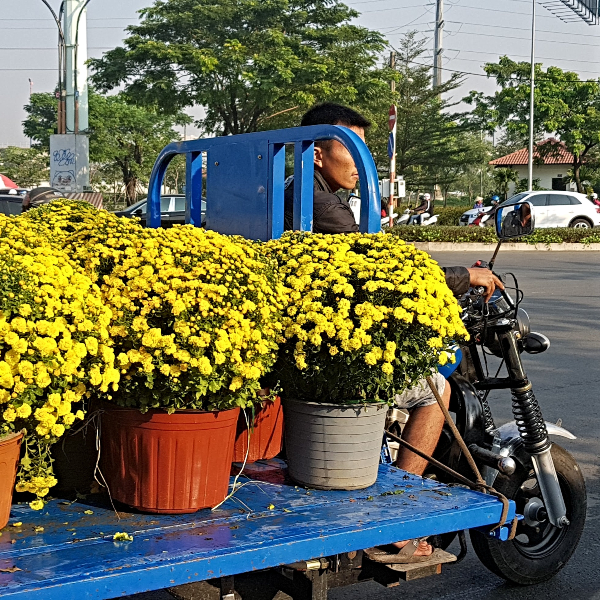 Traditionally a 3-day celebration, Tết has nowadays become a one-week celebration as it actually involves preparations in the prior week(s) and as people get more days off than before. This year, Tết day falls on the 5th of February 2019 and will start the Year of The Pig ! 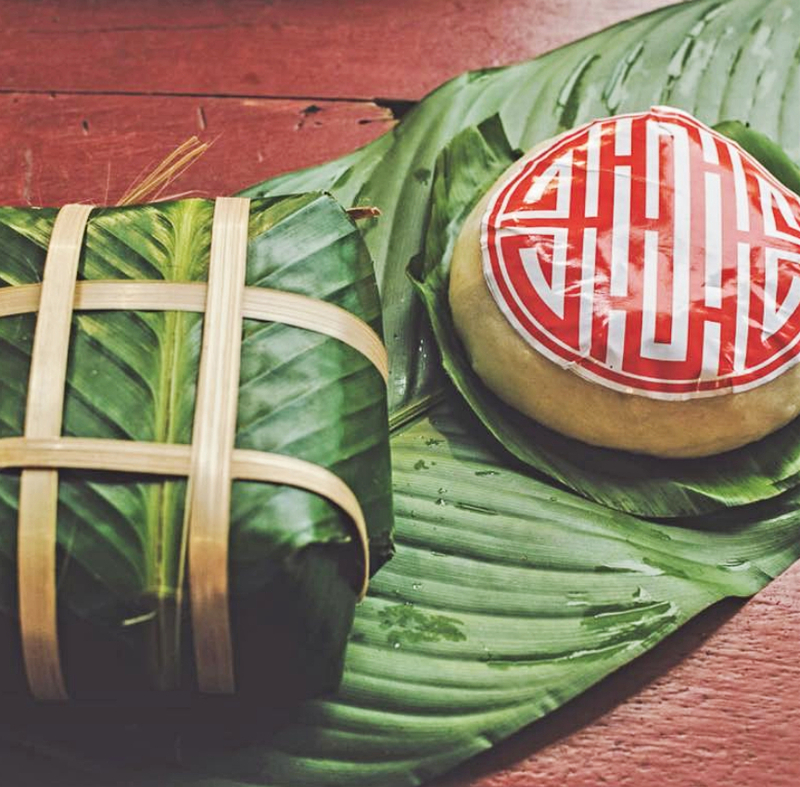 Tết is the most important and widely celebrated public festival of the year in Vietnam. 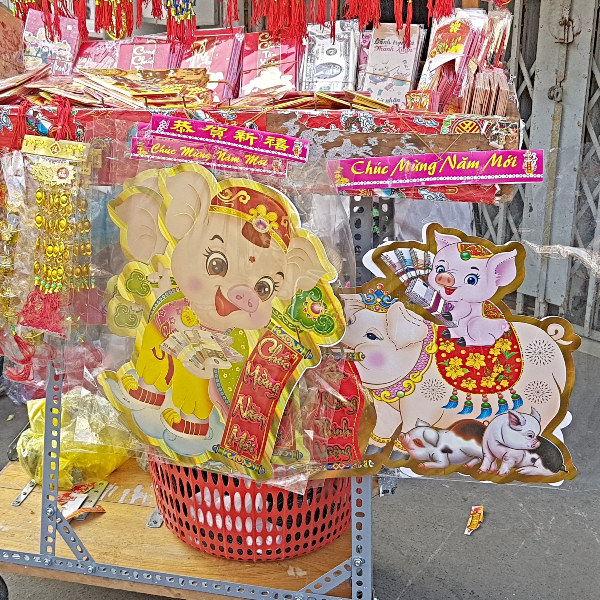 It is the occasion for Vietnamese to express their respect for ancestors as well as welcoming the lunar New Year with all their family members. 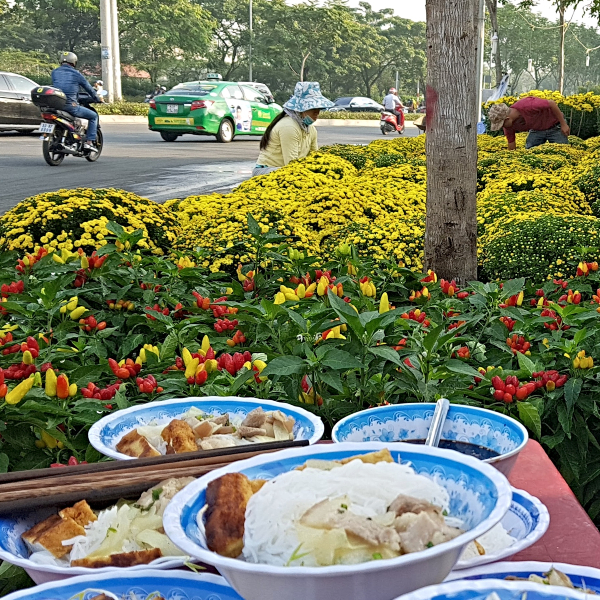 Overall, Tết holiday for Vietnam is a bit like the Spring Festival for Chinese or Christmas or Thanksgiving time for Westerners: every family will get together to have big meals to welcome the New Year. As a strong and joyful family moment, it marks the beginning of the year in the lunar calendar and a new sense of renewal. It is a time for reunion, hope and luck. What is going on during the celebration? Since it is the biggest festival of the year, preparations for celebration begin well in advance before the celebration itself. 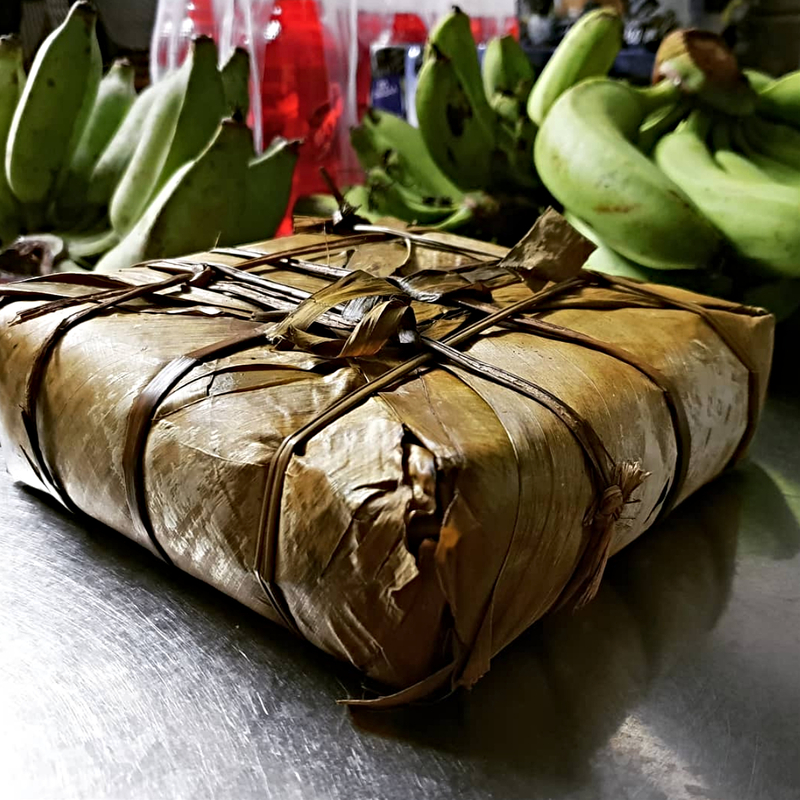 Families traditionally make “Bánh Chưng” and “Bánh Dầy”, two traditional cakes made of glutinous rice and wrapped in banana leaves. 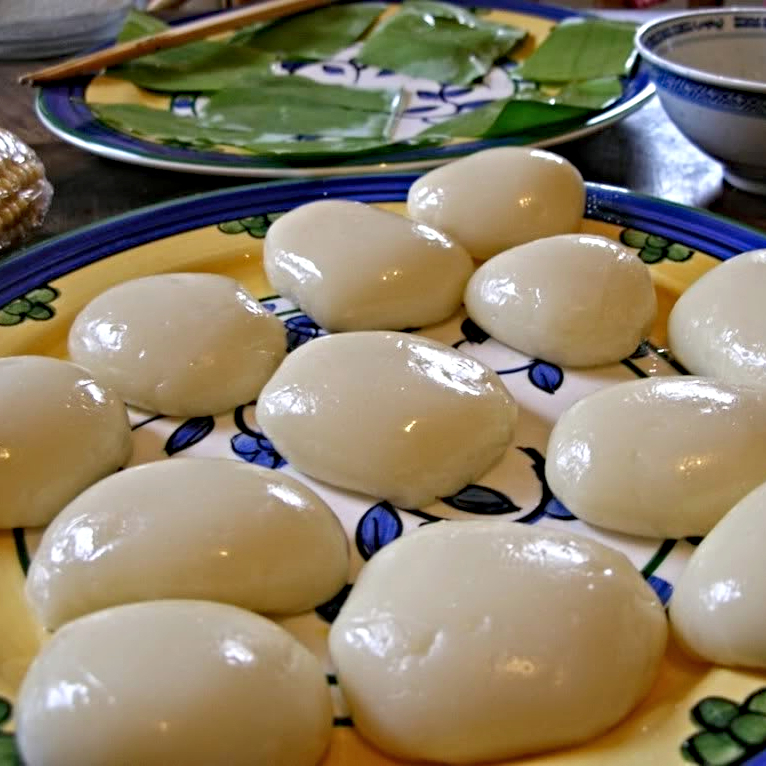 The Bánh Chưng is square to represent the Earth and the Bánh Dầy is round to represent Heaven. Their making of symbolizes the expression of gratitude to ancestors and homeland. Apart from preparing food, before Tết, most of the families will go to temples to make offerings and pray. 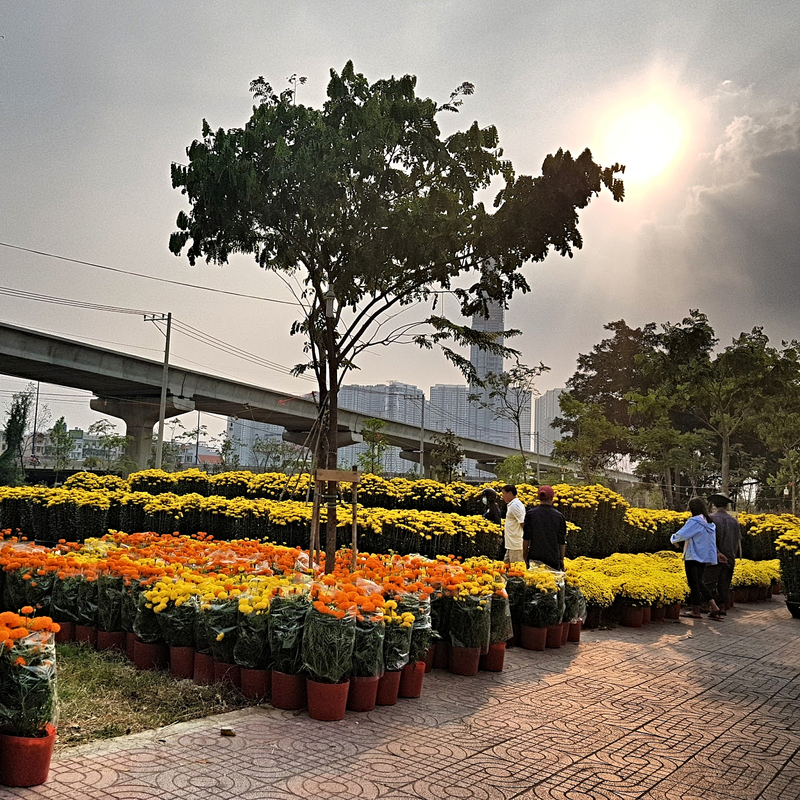 They clean and decorate their house with new items and flowers such as Hoa Đào (peach blossoms), Hoa Mai (Apricot blossoms) and Cây Quất (Kumquat tree). 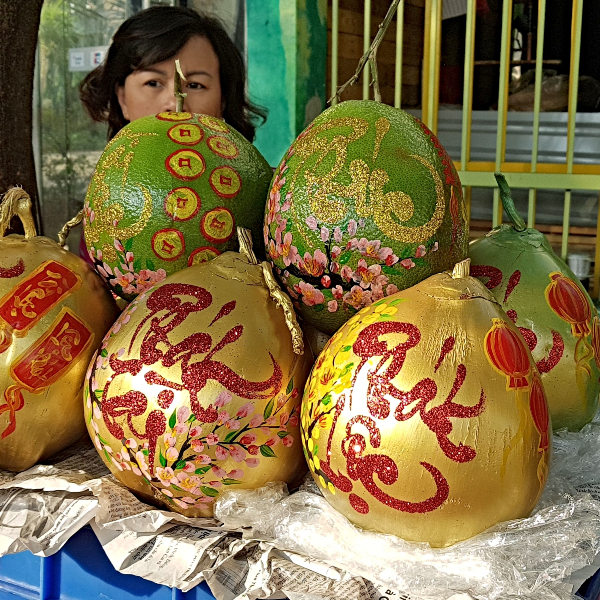 They put the traditional “Mâm Ngũ Quả” (5 different fruits tray) on their ancestors’ altar to bring them protection and to bring prosperity and fertility to the house members. Before Tết, the other important things to get rid of are debts and disputes. On the eve of Tết, Vietnamese cook loads of food for upcoming family gatherings. Then, on the first day of Tết, everybody, especially kids, wear new clothes and shoes to visit families and friends to present their New Year’s greetings and to enjoy food. Many children receive “lucky money” in red envelopes. 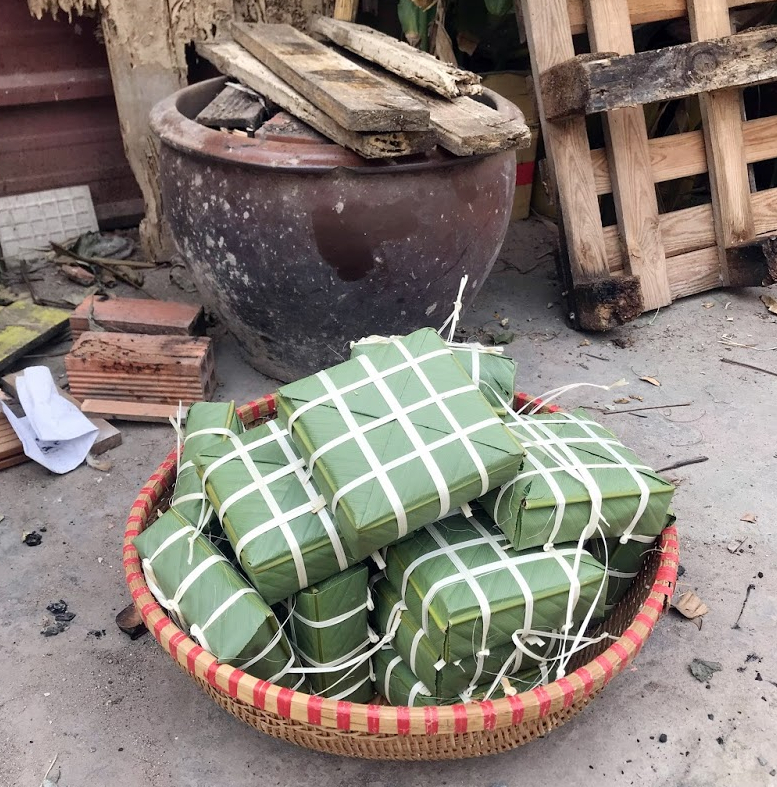 Finally, it is a common belief among the Vietnamese that the first visitor who enters the house in the New Year could bring good or bad luck to the family for the whole year. For that reason, no one enters a house on the first day of the New Year without first being invited ! It is the most important and widely celebrated public festival of the year in Vietnam. Everybody comes back to their hometown to gather with family and chill out after a busy year of working or studying. 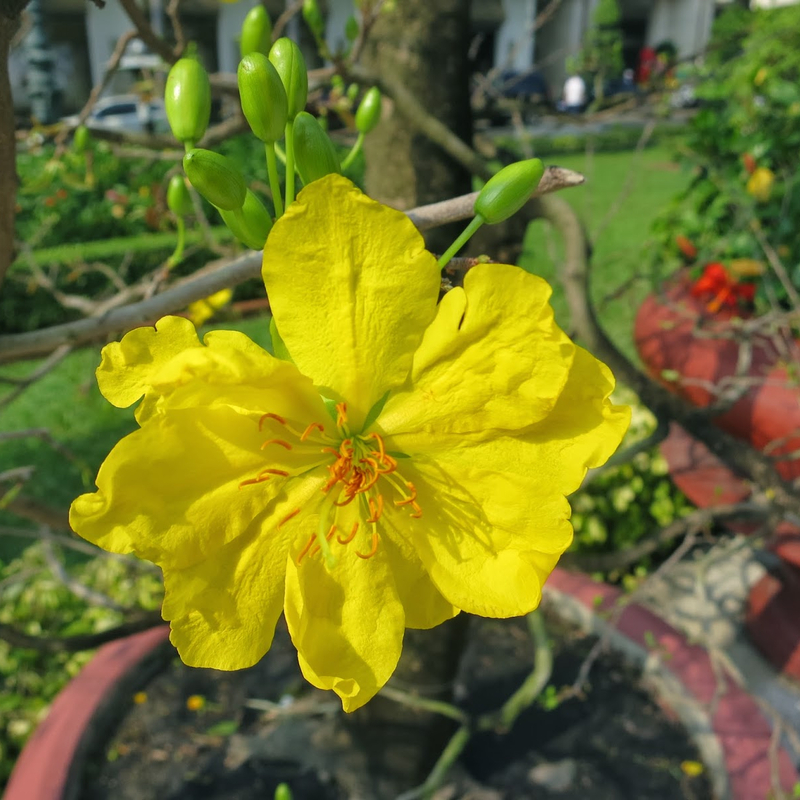 Tết is definitely a family gathering time of the year and everything is happening inside the houses. 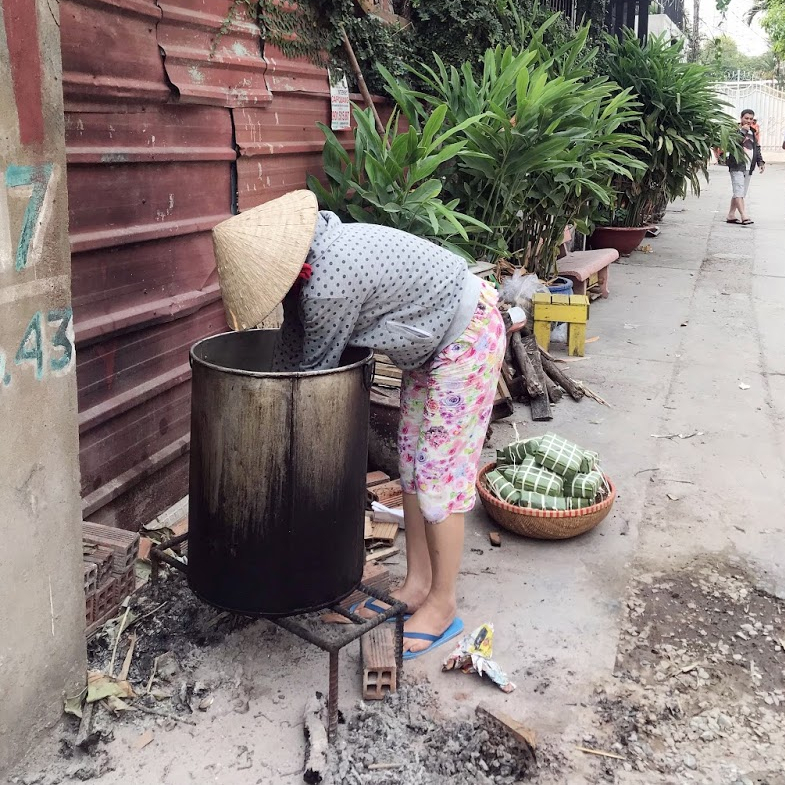 As a traveller, you may as well be concerned by Tết if you decide to visit Vietnam at that special time of the year. It could be quite difficult to plan your trip when all transportation means are fully booked well in advance. Be ready: the bad news is that many museums, indoor places, art houses, shops, restaurants and tours will be closed for approximately 1 week. But the good news is that beaches and cities will be empty and very quiet, which is something quite incredible in Vietnam, so that will be a great time to wander around for visitors & tourists! Please note that our interactive adventure in Saigon & Hanoi will be closed from 2nd to 9th of February 2019.